This new event is the result of a partnership betweenHIPPOGROUP,the sports club that manages Vinovo racetrack, the townships of Candiolo, Nichelino, None, Vinovo, “Piemonte Cuore Onlus”,the sports clubA.S.D. PODISTICA TORINOand the generosity of many sponsors who supported this event. 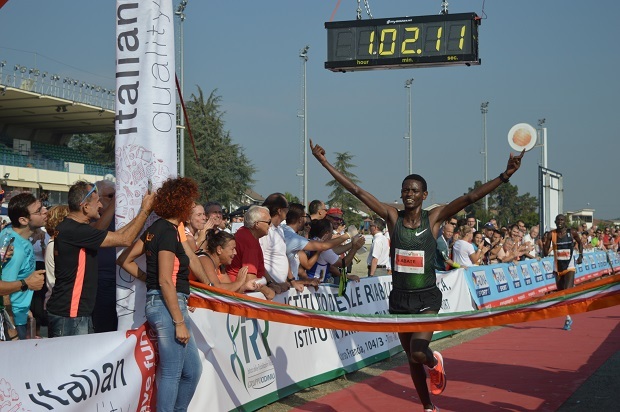 Part of the proceeds from the race will be donated to “Fondazione SPECCHIO DEI TEMPI”. 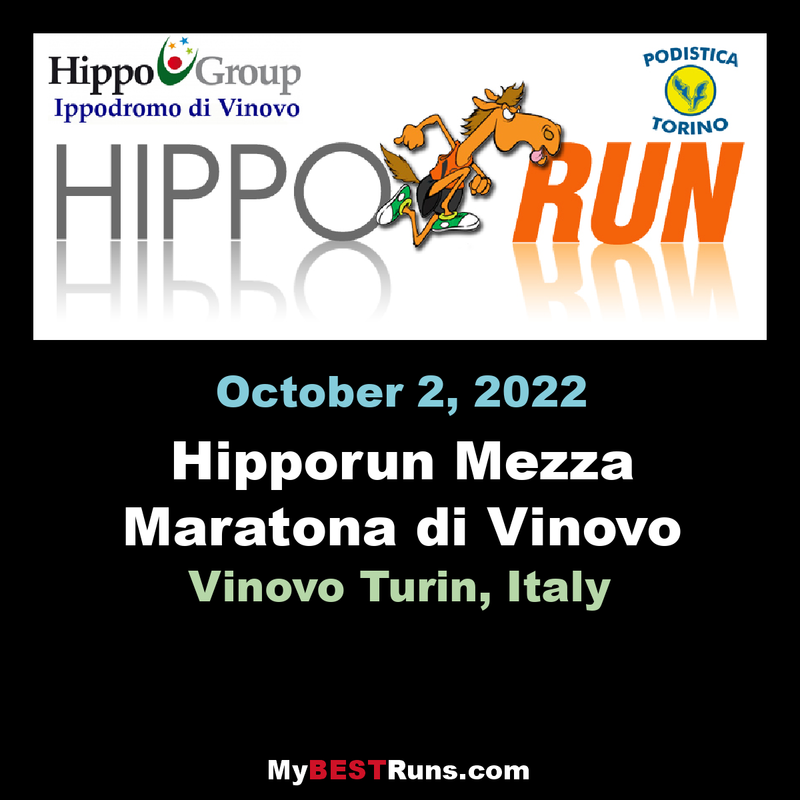 The 3rd edition of the Hippo Run will be staged in Vinovo. Sport, entertainment and a great organization will be the ingredients of the event that will take place in the frame of the Vinovo racecourse. The route, totally paved and marked at every km, was measured and certified by Fidal and classified as "A" category. There are 3 Ristori (5-10-15 km) and at the discretion of the organizer will be added sponge. The route is completely closed to traffic, if exceptions are necessary (ambulances or special emergencies), it is mandatory to keep the right side of the roadway as per road code. The Departure will take place on Strada Stupinigi next to the Hippodrome towards Vinovo.You will pass by the village of Dega and the village of the Knights of Vinovo, then after 2 km turn right to the Borgata Tetti Rosa then you will enter Vinovo, first on the Circonvallazione Nord leading to La Loggia (here there will be the first refreshment) and then back to Vinovo on Via Valetti where beautiful terraced houses rise, after which you will enter Via Carignano in the old Vinovo making first via San Giovanni Bosco, then Via della rotonda and Via San Desiderio, then Via Vitozzi to enter via Cottolengo and make it all the way to the end, here continue on Via Nuova and then turn left onto Via Volontari Italiani del sangue, then left again on Via Garibaldi, returning to Piazza del Municipio from Via Marconi,Continue on Via Marconi in the historic center and then turn onto Via Roma to get to the fountain in front of the Vinovo Castle.From here, go back to the Provincial road and after the Chisola turn left to Candiolo.After a straight stretch of about 2.5 km you will enter Candiolo and turn first to the left on Via Roma and then right on Viale Europa, from here straight up to the intersection with the SP140 turning left towards None (here the third restaurant) , at the roundabout turn right towards the Tumori di Candiolo center and pass over the railway overpass (this is the only overpass and is also the highest point of the route), then at the end turn right towards the Dobouchè variant in a straight line about 4 km that will take us to the entrance of the Hippodrome. Entered the Hippodrome you pass next to the parking lot, continue on the avenue leading to the stands and turn right at the entrance of the Scuderie towards the Trista Pista, here you cross the only beaten dirt road (50 meters) and continue on the asphalt of the track where the race judges run in the trotting races, last 800 meters and has already arrived under the tribunes of the Hippodrome in front of the Maxiscreen. All personal records will be approved and certified by Fidal.